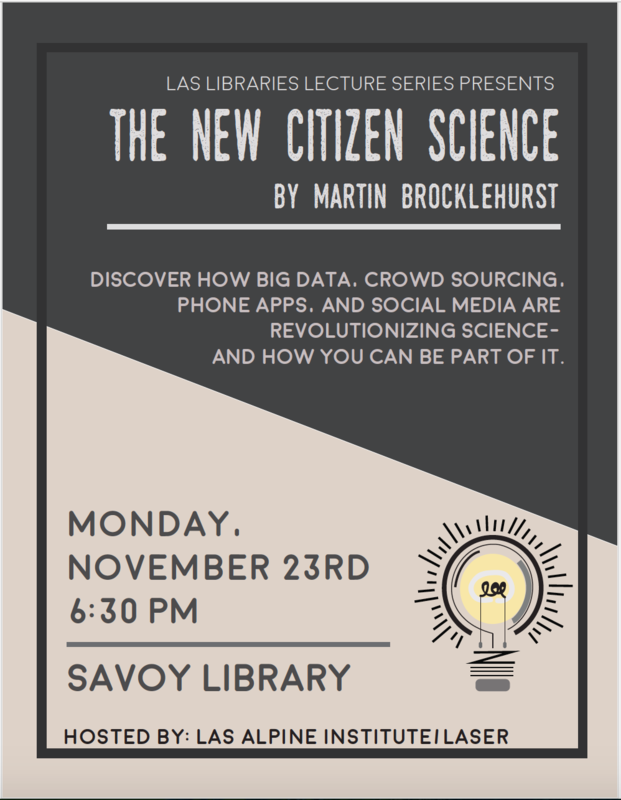 The New Citizen Science lecture by Martin Brocklehurst. 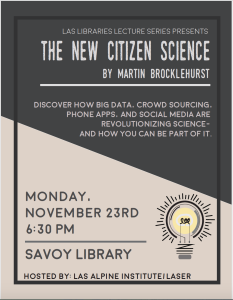 On Monday, 23 November, Martin Brocklehurst will describe the excitement that’s driving today’s citizen science community as it taps into young people who enjoy using modern technology to participate in crowd-sourced scientific experiments. Mr. Brocklehurst is a co-founder of the European Citizen Science Association (ECSA).